Adele is known for her heartbreaking lyrics and powerful voice. Her last album is still selling like crazy and fans as anxiously awaiting her next album. 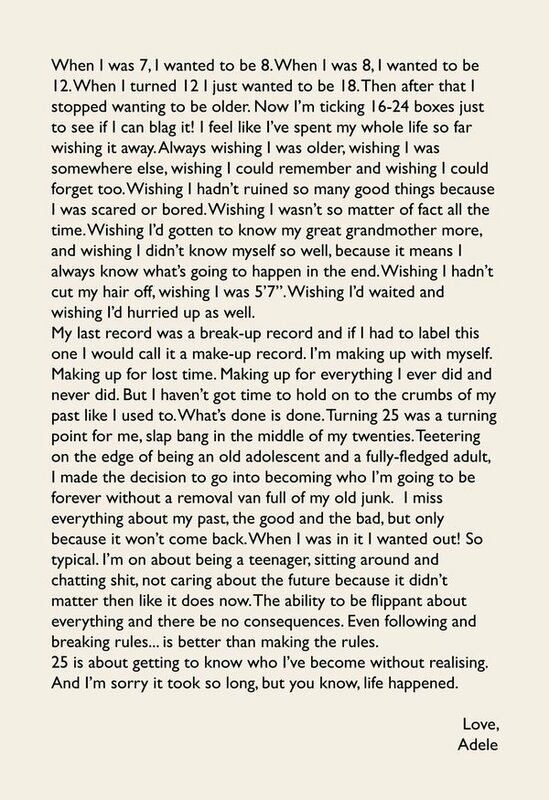 On Wednesday, Adele released a statement on her Instagram, Twitter and Website about her upcoming album titled “25”. All of her albums take on the age that she is when she created it. Her statement was heartfelt and really shed light on what this new album will be about. We are super excited for her new album and also the video content that will come with it. Today she released her video for her single Hello staring the handsome Tristan Wilds. Top of the Charts: Who’s Out and Who’s Up! MMG, Drake, Janelle, Justin and MORE!